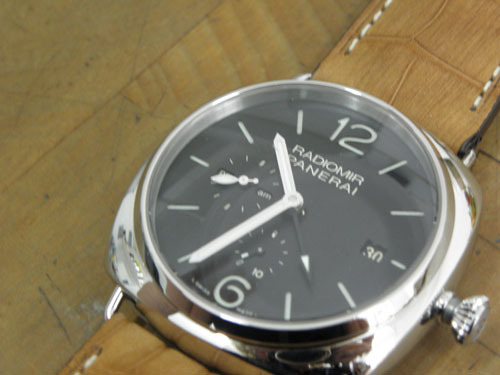 Recently, we had the opportunity to take a close up look at Panerai — the watch that is renowned for its oversized zeal, underwater adventures and unique Paneristi following. While the brand has some great new timepieces — especialy in its composit materials — this one really strikes a chord with us thanks to its around-the-world timing capabilities. 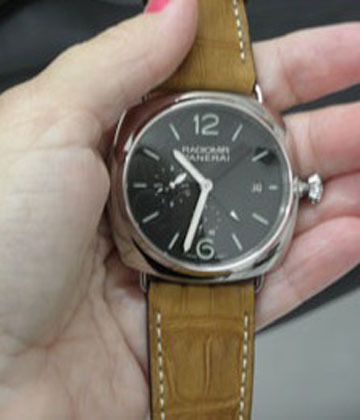 The Panerai RADIOMIR 10 DAYS GMT houses a three-barrel automatic mechanical caliber with KIF Parechoc® anti-shock device. It offers hours, minutes, small seconds, date, second time zone, day/night indicator, and circular power reserve 10 days indicator. The 47mm watch — packed with so much power — is crafted in steel. Best of all — it retails for a very affordable $14,100.